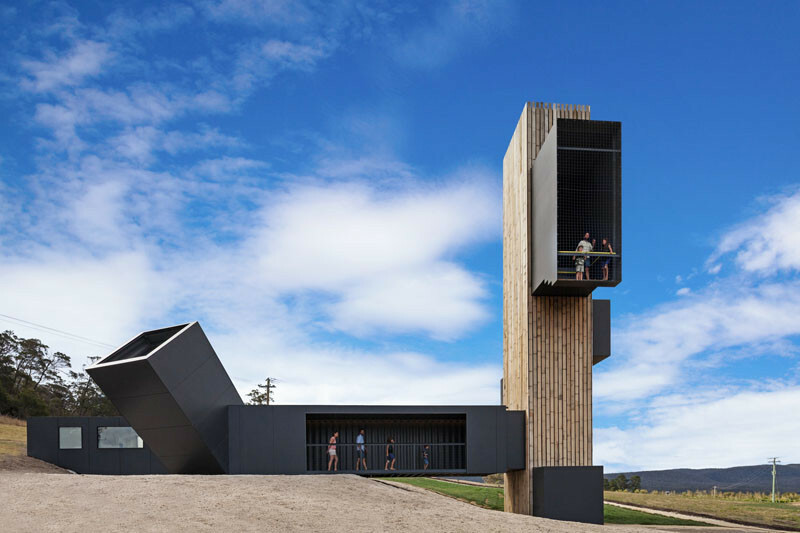 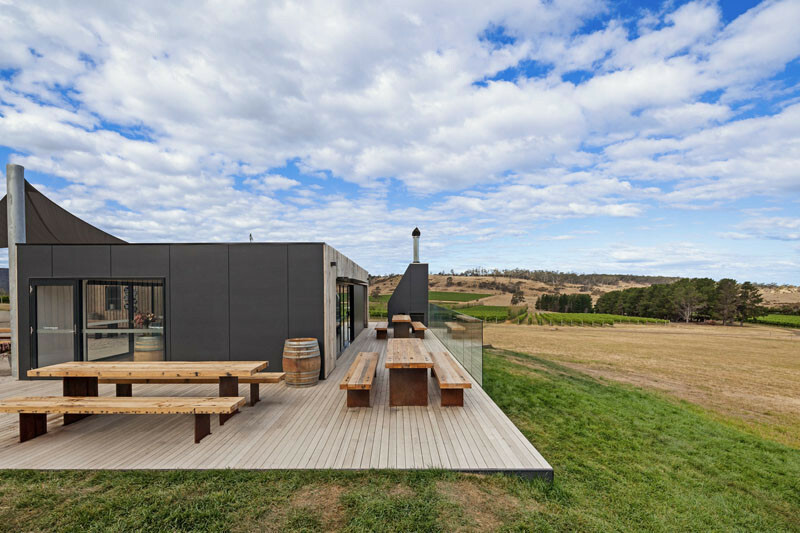 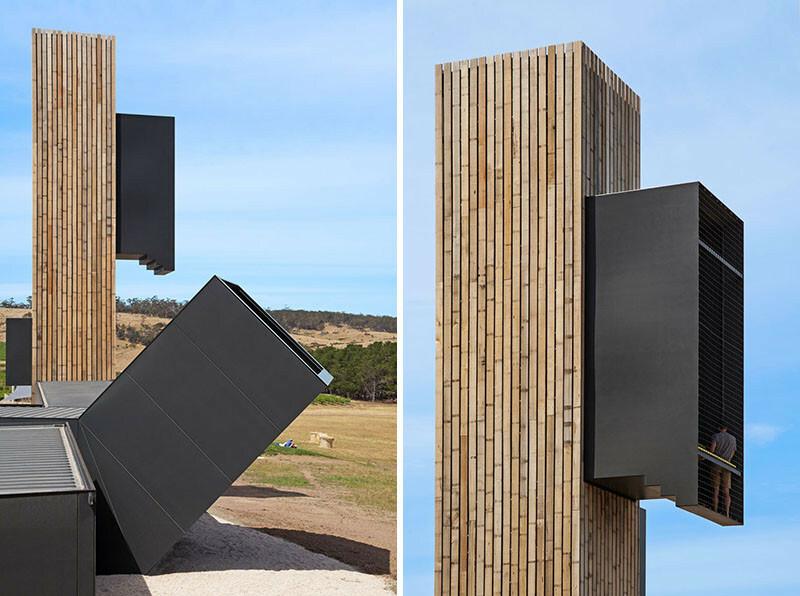 Architecture firm Cumulus Studio, have recently completed the Devil’s Corner Cellar Door and Lookout, located in Tasmania, Australia. 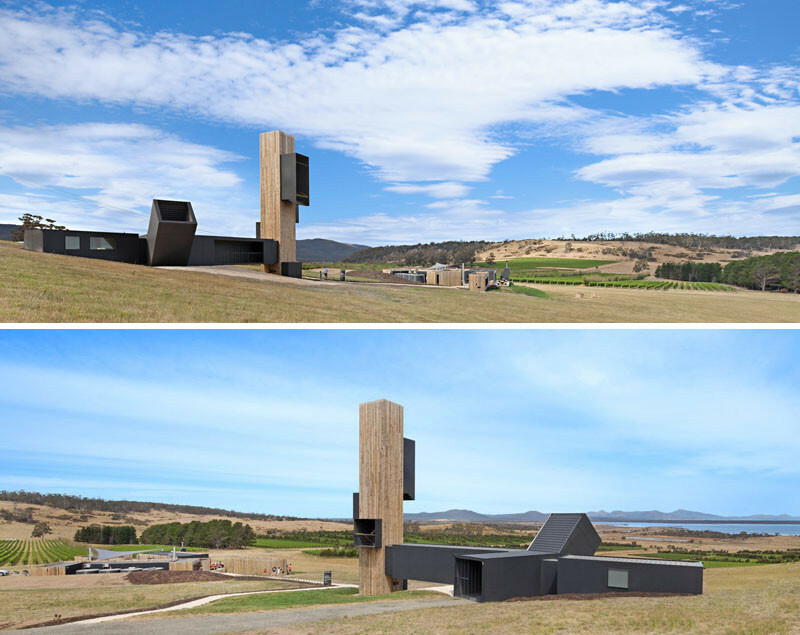 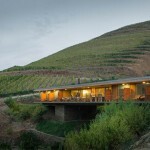 The building is surrounded by the grounds of the Devil’s Vineyard, and combines a lookout, cellar door and food vendors. 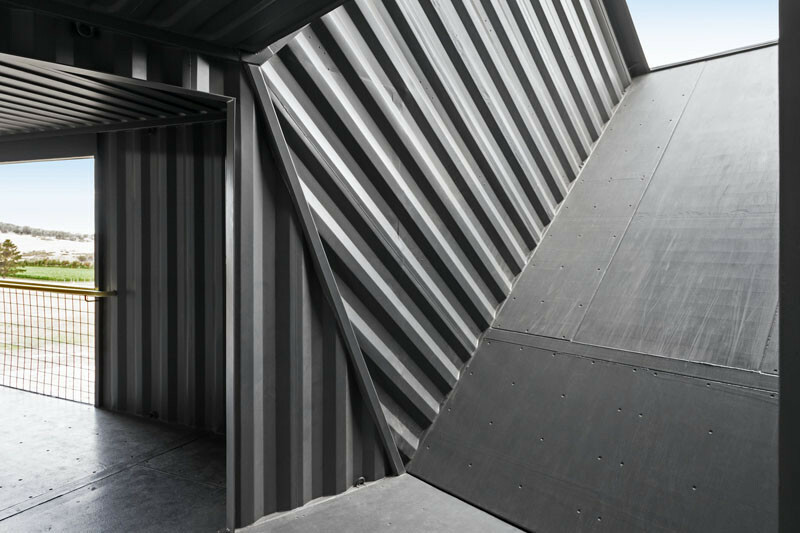 Shipping containers have been used as the underlying structure of the building, as it allowed the structure to be prefabricated off-site, providing timing and logistics advantages for the remote location. 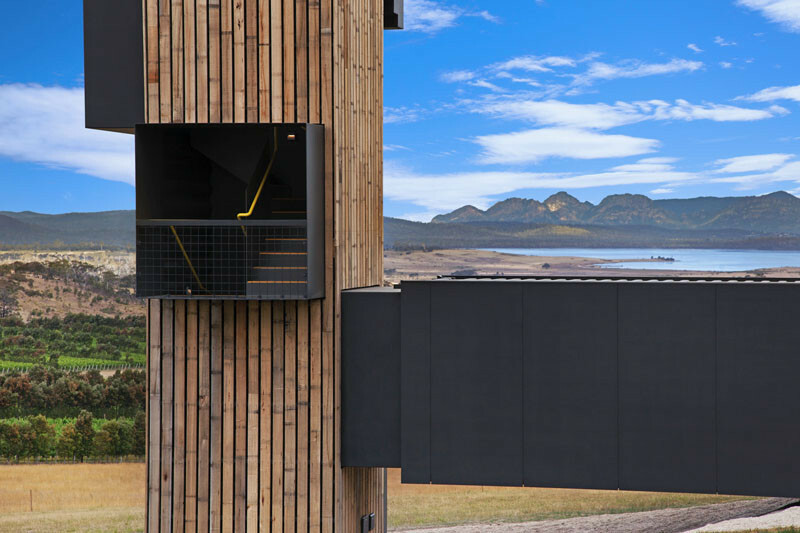 Originally just a small building, the new building has space for seasonal events, and a large deck for visitors to relax and enjoy the view over the Freycinet Peninsula, while they get a quick bite to eat. 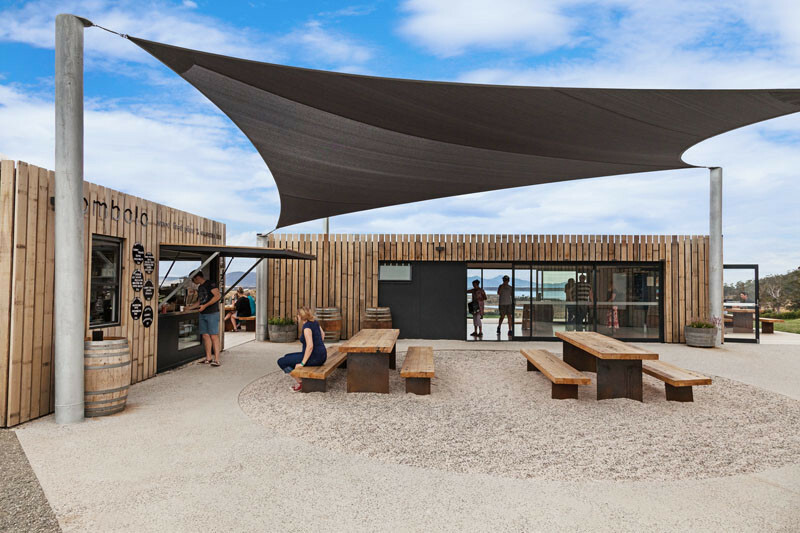 There is the Tombolo Café, serving pizza straight from the wood-fired oven. 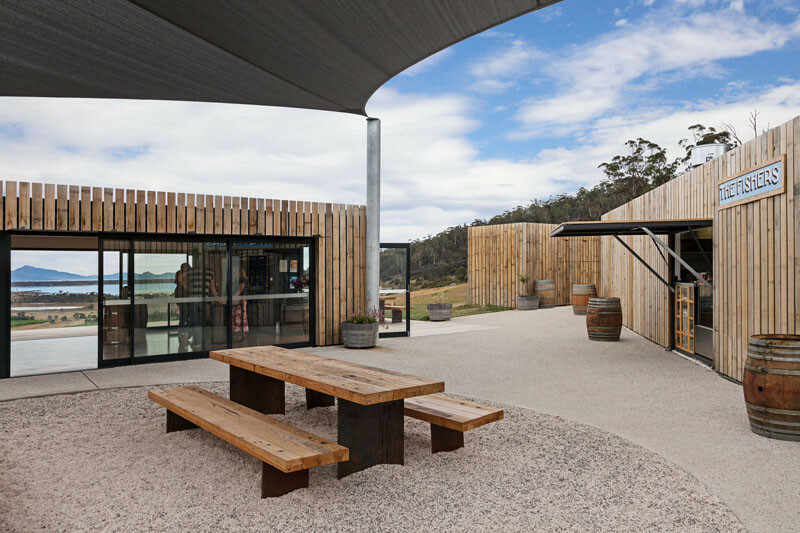 On the other side of the courtyard is ‘The Fishers’, that serve freshly shucked oysters and seafood straight from the Freycinet Marine Farm. 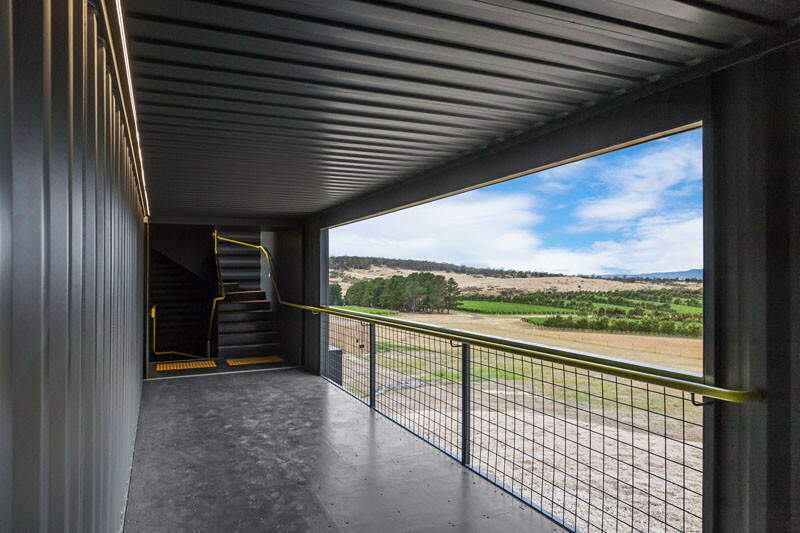 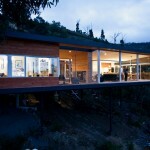 To reach the lookout, guests travel through the shipping container structure, that is filled with light from sky lights. 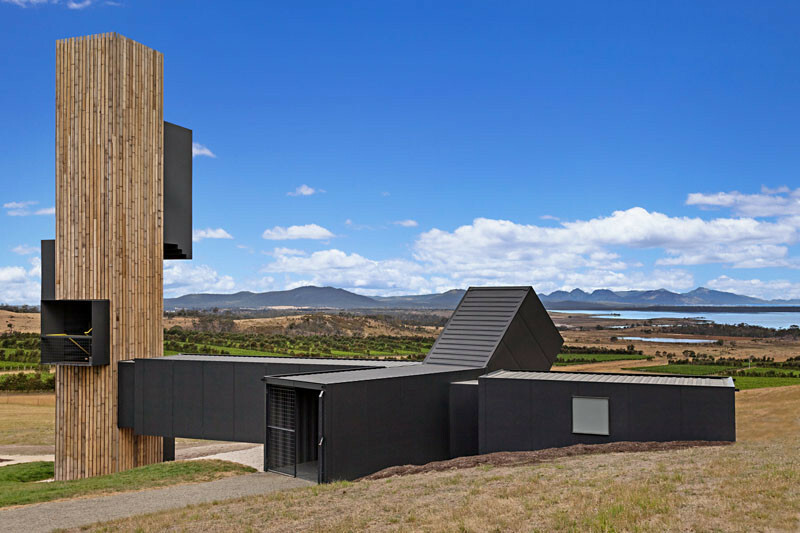 There are also openings with picture perfect scenic views. 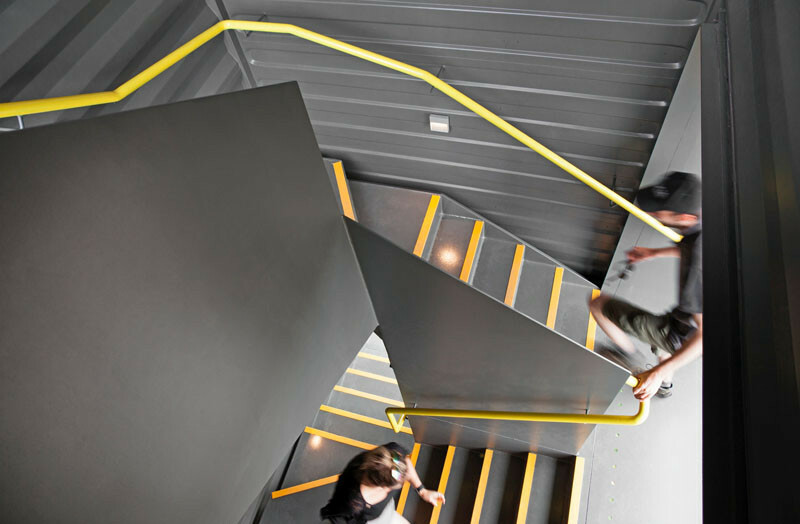 Climbing the stairs lets you get to the lookout. 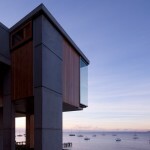 As guests climb the lookout tower, there are three different views to choose from.